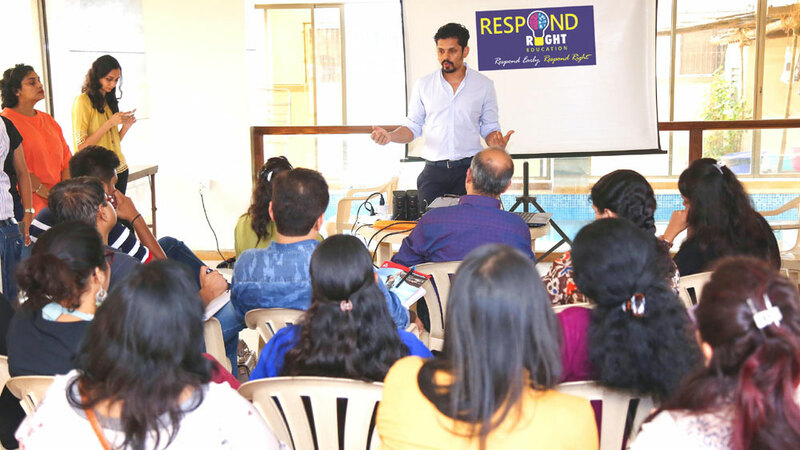 In conversation with Jay Dhami, Founder & CEO, Respond Right Education, who spoke about the importance of right brain education concept. It will not be too early to say that the right brain education concept, which is much developed in the eastern part of the globe and getting popular in the western world, has gradually started making its footprint in the country. The awareness of the concept has been growing fast wherein around three to five startups have started their operation across major metros and are expanding exponentially. Thus, in these still relatively unknown times about the importance of the right side development of the kids brain, Educationbiz.com spoke to Jay Dhami, Founder & CEO, Respond Right Education, operating out of Mumbai, to know about what is the concept all about, creativity at the core, the global phenomenon and the company’s market presence and future expansion plans. What is unique with Respond Right? We develop the creative side of the child. We are in a society where all our learning is through left side of the brain so we take the opportunity to train the right brain. Usually the left side of the brain is very analytical and analogical whereas right side of the brain is creative and imaginative. The future is going to be innovative and creative and people who think out of the box are going to lead it. Hence, it wouldn’t rely on doctors and engineers but on the creative ones. Reducing the homework is something which we think is very important, not more than 20 minutes of homework should be given. To make it more wholesome, as parents should at least give 10 minutes individually to the child to know what they are doing, what is their exposure, and learning in the natural process is the right way. How do you nurture creativity in kids with different activities? We are nurturing kids with holistic approach which makes them unique and independent. We cover around 25 activities in one hour. These activities basically help the kid to excel. We believe once the child learns to absorb and observe, it gets into their brains and then they have different approach towards everything. There are a lot of topics that we introduce in the activities like the photographic memories to capture. Children who are more inclined to use the right brain are creators. We have picked up this model from Japan. What are the key changes that one can see in kids after completing 12 sessions? After completing 12 sessions kids become more focused, inquisitive, talkative, warm hearted, kind and intelligent and their concentration level goes up. To seed these qualities we first and foremost create intimacy in the classroom between kids and teachers so that they open up. Then further we expose them to a lot of things along with understanding their weakness and strength. Ultimately, we put larger focus on the creative side of the children. What is the age group that you target? We target one to four age group of children because they grasp fast. The speed of development of right brain is faster till the age group of 6 to 7 and 8 to 10. We are also making curriculum for the age group of 8 to 10. During 10 to 20 years of age only 5 percent development of the right side brain happens and after the age of 22 the right brain cannot be developed. In the span of 30 months we have designed and customized the curriculum for Indian kids. Why aren’t schools incorporating this type of program into their syllabus rather than just keeping it an after school activity? Because we need limited number of student, unlike huge number of students in the classrooms. Why right brain kids are left handed? Functionality of the brain is incredibly complex, it is cross wired, which means left hemisphere of the brain controls the right side of the human body and vice-a-versa. Hand dominance is connected with brain dominance on the opposite side and that is the only reason why it is assumed that right brain kids are left handed. What is the global response for this concept of education? In countries like Japan, Singapore, Malaysia, Australia, New Zealand there are around 40-50 right brain education centers, whereas Canada and Dubai are still emerging. We have travelled around the world for more than 2.5 years in all these countries to understand what this concept is all about and how we can bring the change. India is ranked 95th when it comes to early childhood education globally. Thus, to bring the change we don’t only need to give this kind of education to privilege class kids, but also to a middle and upper- middle class kids. How was the response initially when you started? We had budget issues so we started from our house, because we were not sure about our country’s understanding of right brain education. But just in two months with spread of word of mouth we got 30 plus registration and that’s when parents started liking it and we thought let’s make it big. So we have got tremendous response as we started with just 7 kids and now we have 700 kids. What is your current market presence and the future expansion plan? Currently we have 12 franchisees in Mumbai, Pune, Coimbatore, Baroda and Pune. Hence, by the end of this year we are planning to increase number of franchisees to 15 and by the end of next year we are eyeing 20 more franchisees across the country. We are also raising Rs 1cr of funding from the investors for future expansion. In terms of growth we are growing by 1000 percent with the number of students. What is the kind of support that you offer to the franchisees? We give them three curriculum bags in five lakhs, train their teachers and center heads and give them around 175 testimonials from different parents. Franchisee can be set up in 200 sqft of area anywhere. Heguru, Tickle Right Education, Think Right and Amalgamind are our competitors. Is Continuing Education The Next Big Thing?.. 8 Best French Bakery Cafes in Delhi-NCR..
Getting Education Right For the Future..
Can Robots replace human teachers?.. This Place has it All Good Food, Wine & Music..
Three Proven Ways To Retain Restaurant Staff.. Profitable Wellness Biz Ideas in Chandigarh..
Why Chefs Must Take The Lead in The Industry..